First of all, there will be an iPhone 5. 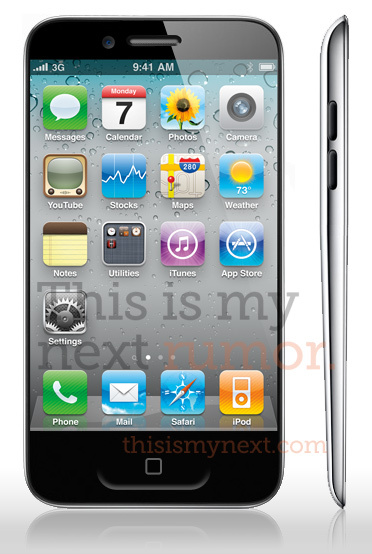 I know some of you are thinking "doh", but there are rumors that Apple will actually launch an iPhone 4s instead. I do not think so. There is too much competition, they have to move the number up, whatever they ship. They just cannot give the world the impression that the iPhone platform is not moving, that Apple is not innovating, that Steve Jobs is gone and therefore the company is screwed. They have to ship an iPhone 5, even if it is just the iPhone 4 in pink. To be fair, I was right on the reaction to the lack of an iPhone with a new number: the analysts, the media, everyone was disappointed. The stock tanked after the event. Everyone is convinced this is a window of opportunity for Nokia (I bet there was a lot of alcohol flowing in Finland last night, knowing the Finns), RIM (stock is up 12% today...), Samsung and the like. Now, I have been thinking about the "why" since yesterday. Why did they not ship an iPhone 5, improving on the case and the form factor? Why? Why? They did open a window for the competition, there is no doubt about it. Whatever is inside the device does not change it (Siri being the coolest thing after ice cream). They could have killed Windows Mobile 7. They could have finished BlackBerry. They could have challenged Android for real, stopping their growth (and not just trying to play the price game with the 3GS still alive). Instead, they did not do it. But Tim Cook is no dumb... Sure, having the same case will make logistics better, probably even increase margins. Now why? The easiest answer is: arrogance. Hubris is what kills companies, and Netflix is giving us a good example of it. Apple maybe thought they were so ahead of the competition, that the world loves them so much that they could have the luxury of slowing down. Something like: "you know, we kept the iPhone 4 in the market for 18 months and it is the best selling device, another year would not make a difference: we are the best and we win anyway". I just do not buy it. You finally become CEO of the coolest company on earth and - at your first event - you disappoint? You make your stock go down? You make everyone say "aahh, when Steve Jobs was here..." or "this looks like Microsoft when Bill Gates left"?? No, no, no. I do not buy it. I have a different theory: they just could not make it. They looked around at ideas, like the teardrop design. But it did not make any sense in landscape mode. They looked around for new materials, but they just could not find anything better than what they had built. 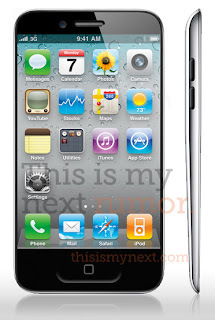 Simple said: the iPhone 4 is the best smartphone factor there is. You cannot make it better. It is the best shape, it has the perfect dimensions to hold it in your hand, the buttons are where they are supposed to be. You cannot improve it. I believe we have reached the top of the form factor in smartphones. Apple is telling us this is the case. Period. The game now is inside. It is the software, and the stuff around it to make it faster. It is the cloud. It is the personal assistant and the voice recognition. The outside is not going to change, all smartphones will look alike. Same for the tablet world. Forget the outside, it really does not matter anymore. Apple knows it, and they are delivering on the inside and the cloud. The form factor is dead. It is not a factor anymore.